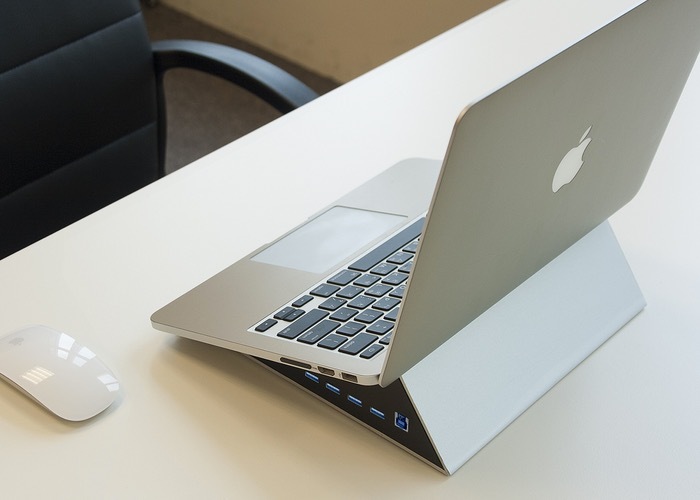 If you are in the market for a new laptop dock and workstation you might be interested in a new hardware concept that has been launched over on the Indiegogo crowdfunding website this month called the Basepro. 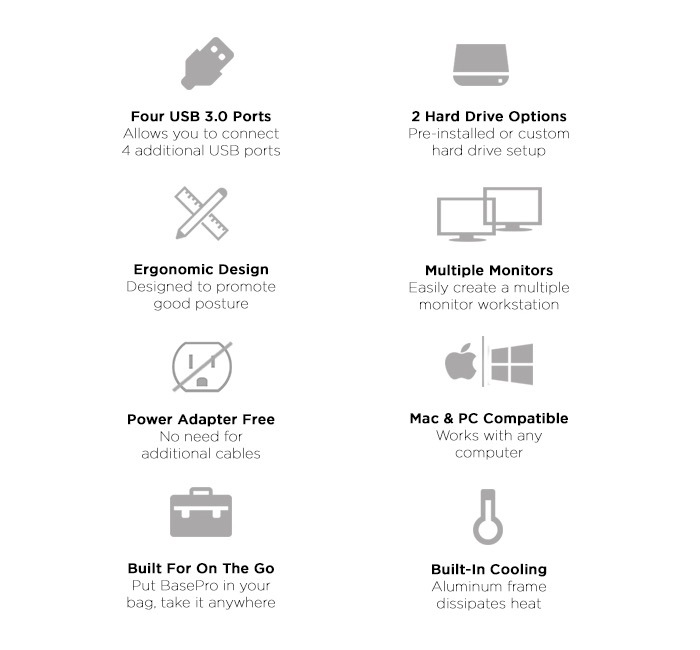 The Basepro has been specifically designed to provide an all in one plug and play ergonomic laptop dock complete with hard drive, USB 3.0 hub and more, with prices starting from just $69. Watch the video below to learn more. “Connect all your devices to BasePrø, then take your laptop on the go without a complicated disconnect/reconnect. With 4 additional USB 3.0 ports, BasePrø allows you a maximum signaling rate of 5 gigabits per second (10x faster than USB 2.0) making it built to last for next few years. For more information on the new Basepro Laptop Dock jump over to the Indiegogo website for details and the ability to make a pledge via the link below.